We’d love your help. 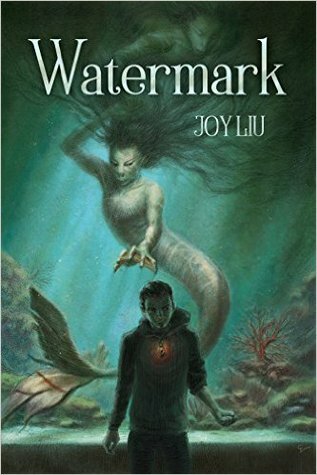 Let us know what’s wrong with this preview of Watermark by Joy Liu. To ask other readers questions about Watermark, please sign up. Engaging tale of unexpected mermaids, friendships, and healing. At times funny and sad, Watermark is an excellent example of YA fantasy done well. It embodies the epic adventurousness of the genre while exploring heavier themes like mercy and loss. Set against the backdrop of a small seaside town in Florida, the novel invokes a sense of natural wonder for the ocean and its creatures. Yet nature is also dangerous and terrible, as Watermark is quick to remind you. Luke’s journey is defined by retu Engaging tale of unexpected mermaids, friendships, and healing. At times funny and sad, Watermark is an excellent example of YA fantasy done well. It embodies the epic adventurousness of the genre while exploring heavier themes like mercy and loss. Set against the backdrop of a small seaside town in Florida, the novel invokes a sense of natural wonder for the ocean and its creatures. Yet nature is also dangerous and terrible, as Watermark is quick to remind you. Luke’s journey is defined by returning to a place he’s always considered a haven and finding that safety dashed into pieces, floating among the wreckage of his comfort zone. It’s sink or swim, and Luke must adapt in order to survive. This is not something he can accomplish alone. A colorful cast of characters at times help and hinder him, and without giving too much away, I will say that one of the novel’s greatest strengths is the interplay between characters and how their relationships change them throughout the book.